If you are looking for articles and videos on the start, you’ve come to the right place. This Blog is over 7 years old, so there is a wealth of information here. 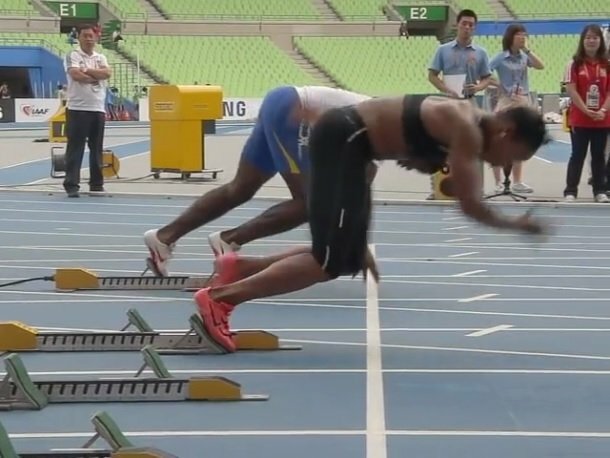 A great video analysis by Coach Adarian Barr, using both voice over, as well as frame by frame analysis on Carmelita Jeter start and drive phase. Not only do you see the good and the bad, but HOW TO correct it. Here is another great video analysis by Coach Adarian Barr, using footage taken from the London 2012 Olympics. I used this technique for years, because I was taught to move my left had (with a right rear block) upwards and forcefully at the crack of the gun. So, by using an asymmetrical hand position, with the left hand closer to the line than my right hand, it works for me. This is one of the highly controversial topics in the start. Physics show it is better. But it’s the stopwatch that counts! Here are some great stills of shin angles and joint angles to show one of the best starters in the world, Asafa Powell. Back in my days competing at the indoor Dartmouth college track meets, we did not use blocks for the oval events (200m & 400m). Why worry? Alan Wells didn’t use blocks in his early years until it was mandatory for all events under 400m, and the advent of electronic sensors to detect false starts. Here I present and dissect a video. If I had more time, I would do this for everyone! Some classic vintage footage from 1984. Love him or hate him, Carl Lewis is (was) King. 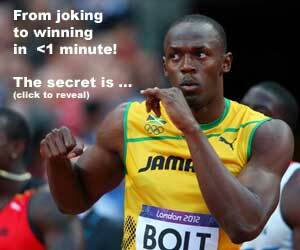 One of the original video footage of Usain Bolt using blocks, obtained with permission from Puma. Valeri Borzov had one of the best techniques in the world during his prime. Here, we look at his first 3 steps and see that he is doing right.